Wynand and Claudia du Plessis have recently published a new visitor’s road map of the whole of Namibia. The map is a 28 page brochure, A4 size and it lists over 95% of all accommodation establishments in Namibia. 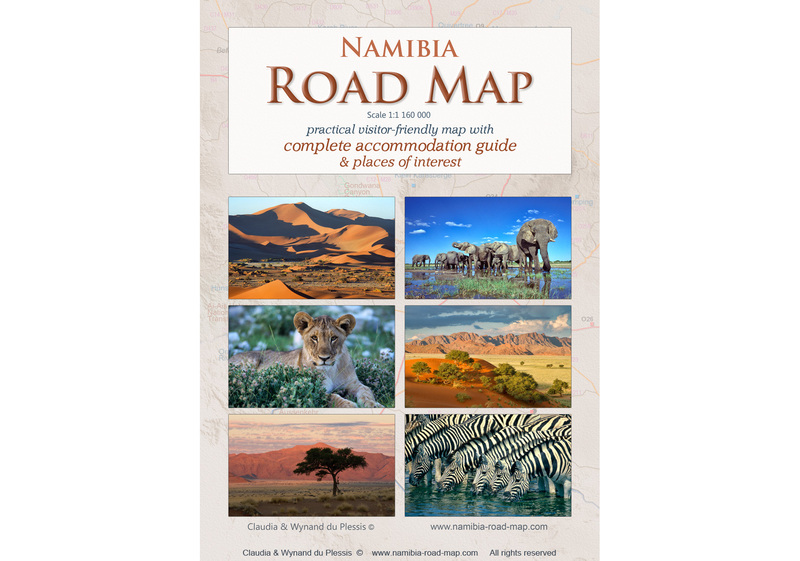 Detailed road & accommodation maps are also included for Windhoek and Swakopmund, with more than 180 establishments mapped and listed in both of these towns together. All the best must-see “Places of Interest” are indicated on the detailed maps. All public roads in Namibia are indicated, tagged and categorised as tar, gravel, graded or track roads. 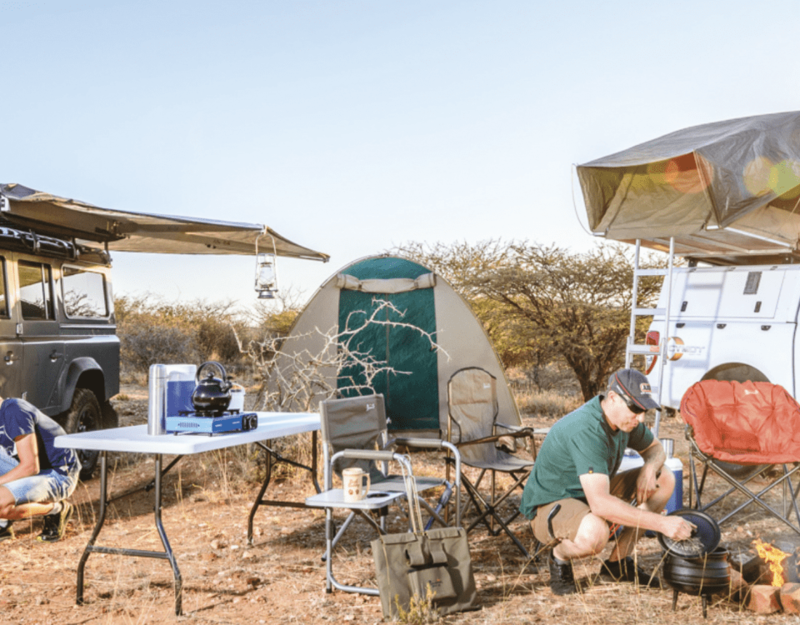 Most tracks in remote areas are included to give users an overview of availability and to wet your appetite to explore remote areas in Namibia. It is recommended, however, that visitors obtain higher-resolution printed and digital GPS maps before venturing into extremely remote areas. All the large and small towns that have relevance to visitors and will be of help in navigation are included. The smallest villages are excluded to keep the maps as clean and relevant as possible. Most campsites are not separately included on this map, as most establishments outside of town also offer camping or will be able to guide visitors to the nearest camping place in their area. The mapping scale is very detailed at a scale of approximately 1:1 160 000, therefore 1cm on the printed map is 11,6km on the ground. All the proclaimed National Parks and nature reserves are mapped, including most private reserves. Most hunting reserves are not included as most of these do not offer accommodation to non-hunting guests. Only one concession area is included (Hobatere concession), as the boundaries of most others are unclear or irrelevant for most visitors to Namibia.